The family of Ricky Spindler searches frantically for him. A recent Facebook post says “PLease share our page with friends and family! Especially people in Illinois and Indiana! He is off medication and needs to be found! This is urgent! He is not with friends! 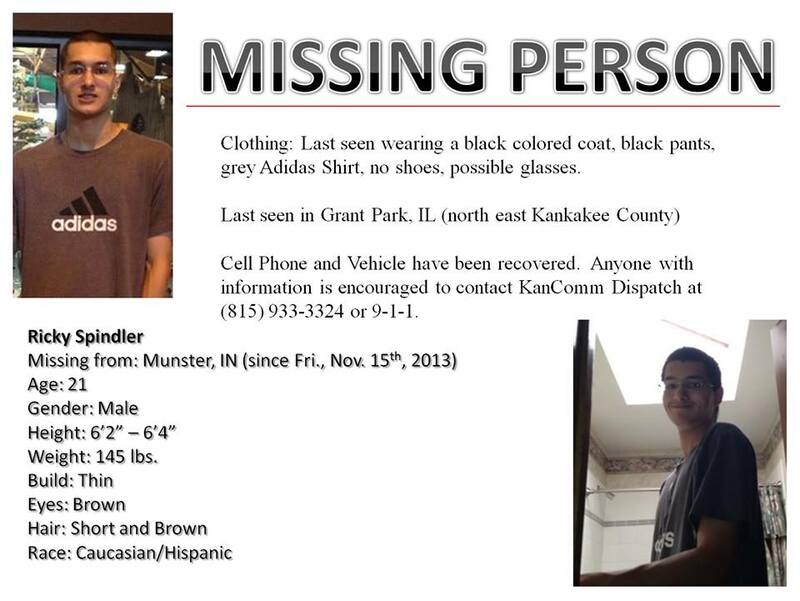 !” There have been reported sightings of him in Crown Point and Winfield at gas stations. The family believes he may be headed to Indianapolis. If you are in these areas, please print the attached flyer and take it to local gas stations and convenience stores. You can view and share the Ricky Spindler Missing Facebook Page by clicking here.